location – Point(x,y) where the text should start on an image. The function displayOverlay displays useful information/tips on top of the window for a certain amount of time delayms . 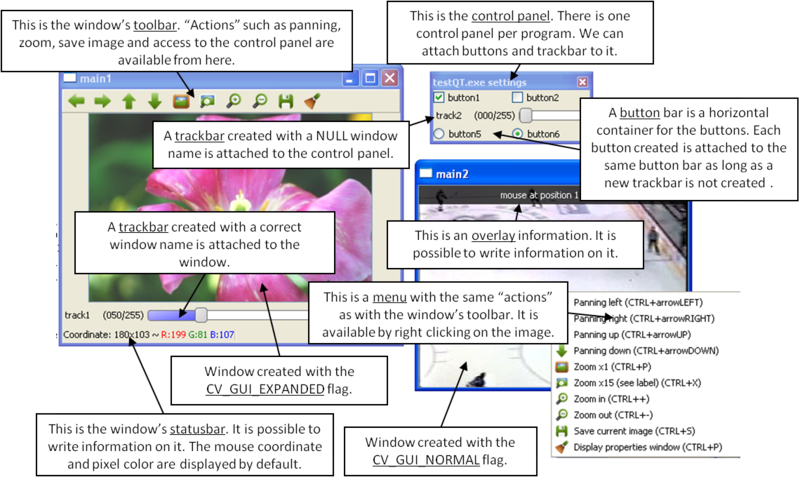 This information is displayed on the window statubar (the window must be created with the CV_GUI_EXPANDED flags). Creates a callback function called to draw OpenGL on top the the image display by windowname. callbackOpenGL – Pointer to the function to be called every frame. This function should be prototyped as void Foo(*void); .